Description: Small evolute test with low expansion rate. The rounded whor1 section is litt1e depressed (WB/WH is 1·16) with the greatest breadth below mid-flank. The wide, shallow umbi1icus spans 46 per cent of the whor1 diameter. The umbilica1 wall is short, but steep to vertical. Flanks are rounded and grade into a broad1y rounded venter. The smooth surface displays five narrow, deep constrictions per whorl. They arise at the umbi1ica1 seam, pass straight and prorsiradiate1y across the umbilica1 wall and inner flank, and flex gently backward on the outer flank. On the venter constrictions form a shallow sinus. The suture line is tetragonitid with astout 1anceo1ate median sadd1e in the deep external Iohe, trifid E/L and LlU and irregu1ar1y bifid L. The suspensive lobes are retracted. Type: The 1ectotype BMNH C51057 is Forbes' original from southern India (1846, p.104, pl. 8, fig. 4a-c) by subsequent designation of Kennedy and K1inger (1977, p. 169). Material: One well preserved interna1 mou1d. 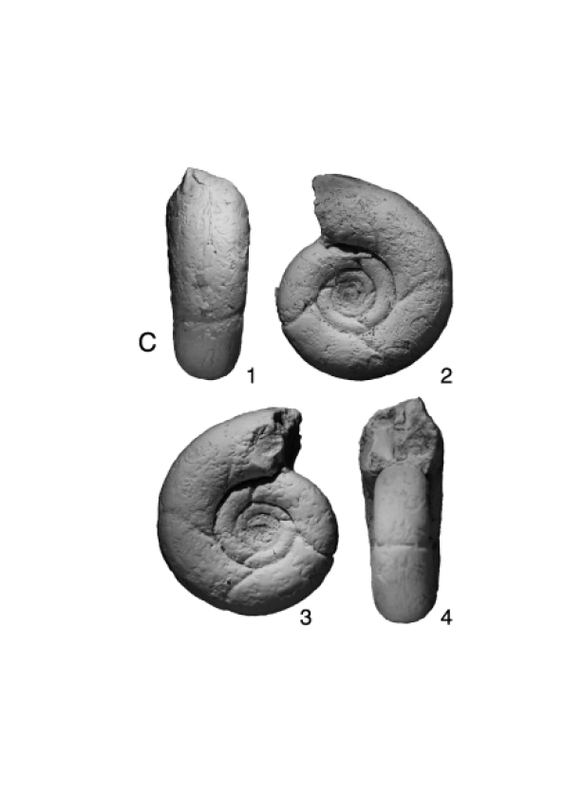 Remarks: Saghalinites wrighti Birkelund is a species close to S. cala. They are almost indistinguishable, particularly during small growth stages. However, S. wrighti lacks constrictions in earliest growth stages while in later growth stages constrictions are straight rather than flexuous. 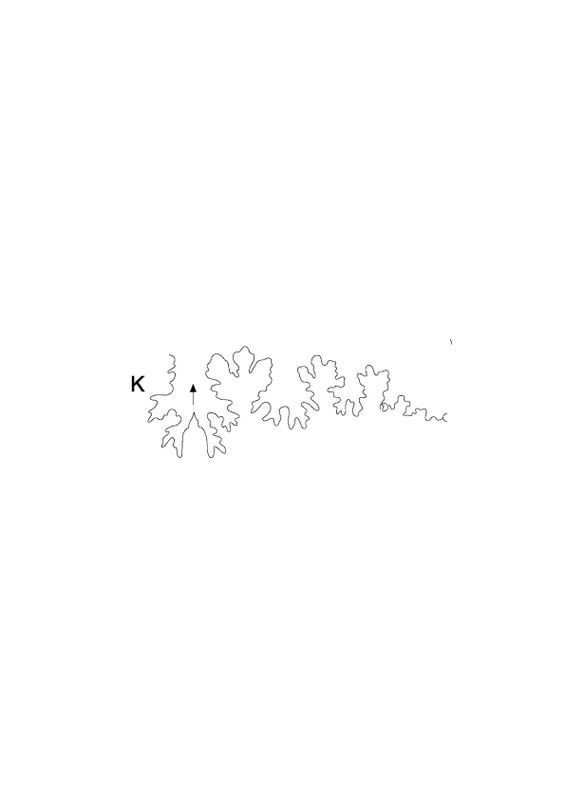 Saghalinites wrighti has been described by Birkelund (1965) and Kennedy and Klinger (1977), and its holotype was figured again by Ward and Kennedy (1993, fig. 20).